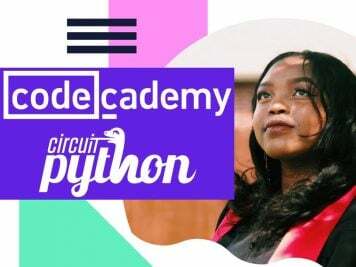 Create Your First Program in Scratch With This Raspberry Pi Helpsheet #piday #raspberrypi @Raspberry_Pi « Adafruit Industries – Makers, hackers, artists, designers and engineers! 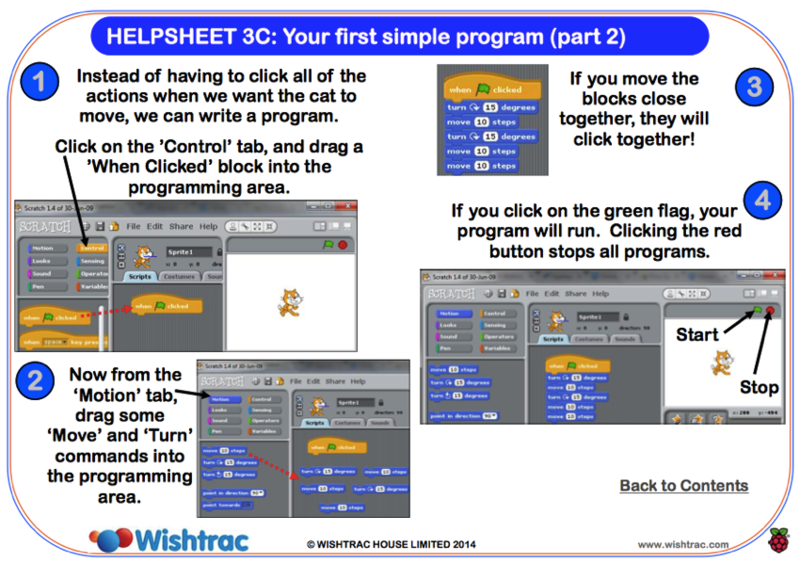 For those new to programing, Wishtrac has created a Raspberry Pi helpsheet to talk you through creating your first simple program. 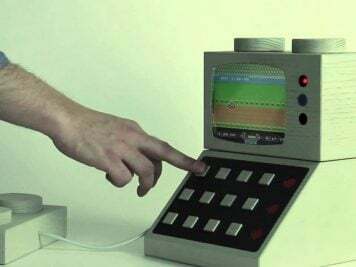 The Raspberry Pi is a very versatile device, but it can also sometimes be confusing for first-time users. What kind of power adaptor do you need? 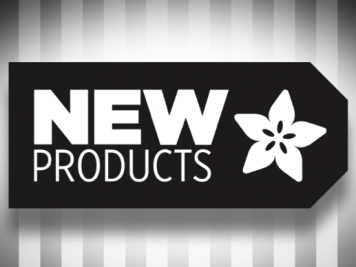 What is the best kind of SDHC card to use for Media Centre applications? What can you actually do with a Raspberry Pi? Our helpsheets are designed to answer these questions and many more. 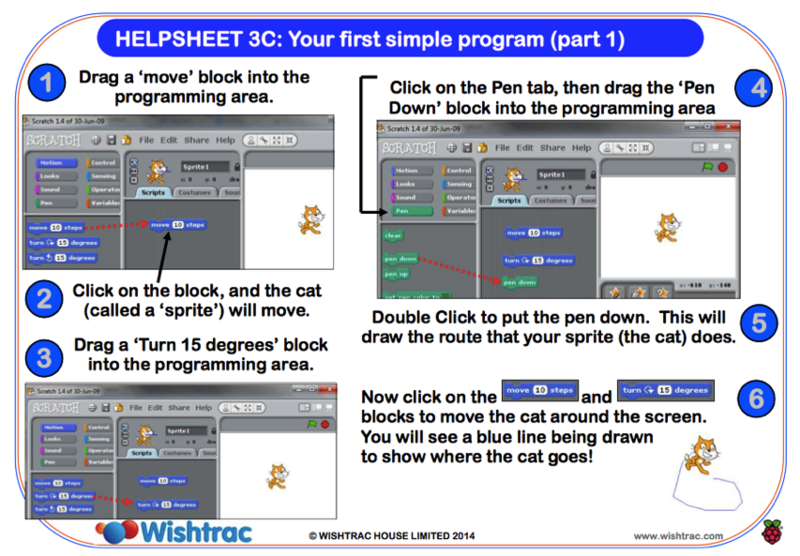 Our nineteenth helpsheet talks you through how to create your first simple Scratch program, which as you’ll see from the helpsheet is not as complicated as you might think if you are new to programming. To see our other helpsheets on a range of Raspberry Pi topics such as using Scratch and the Pibrella, click here.